Comments: I am pretty pleased with this shot. The two hours of 10 minute exposures shows the extensive areas of dim h-alpha emitting gas in the background shot through with areas of cold dark gas. This is just what I was trying to see in this shot. 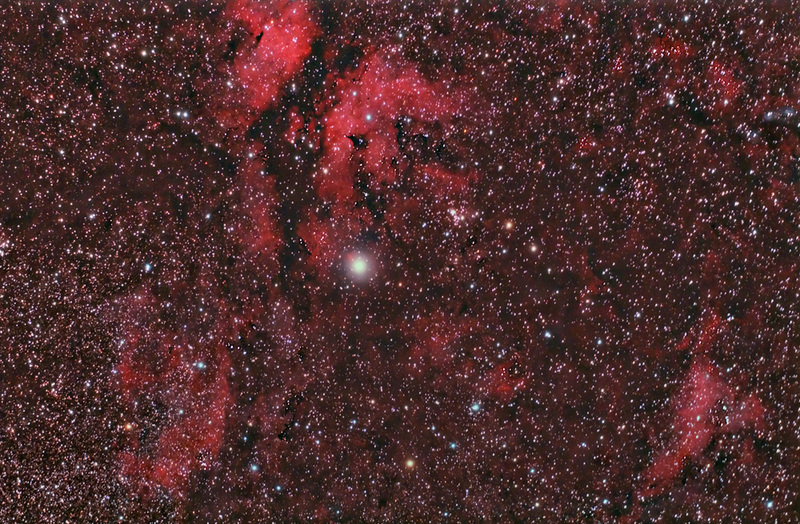 The bright red areas are parts of IC1318, the small open cluster right of center is NGC6910 and the blue reflection nebula on the right edge near the top is NGC6914.